Neuron Energy Solutions is a start-up company, focusing on Energy Analytics and intelligent Energy Information Systems. 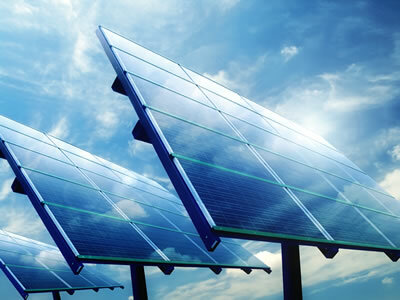 By leveraging advanced artificial intelligence and cloud-computing technologies, we provide innovative solutions for the monitoring and management of renewable energy sources, and especially PV installations. Traditionally, systems for monitoring and analyzing energy installations have been limited to power production monitoring and basic error reporting. The ability to employ energy analytics and perform energy optimization has been omitted. Neuron Energy Solutions has researched innovative models, and developed advanced web platforms for energy monitoring, estimation, and management, as well as for fastest fault isolation. By following innovative and proven methodologies, we have built a dynamic and service-oriented company, which is positioned to successfully respond to trends and changes in the energy sector. Our knowledge in combination with our technology expertise is continuously updated in order to support our clients in all their business decisions, and enable specific key performance indicators. Our team of highly qualified engineers is committed in offering to our clients, innovative products and services with a clear attention on the optimization of capital deployment for energy sources and uses. We help our customers envision and shape their growth around the key drivers of technology, productivity and cost-effectiveness. Our comprehensive knowledge and inter-disciplinary skills support their investments in clean and reliable energy across the whole period. Unique knowledge base and expertise. Wide range of technology offerings.